Perhaps it’s really the home advantage that has contributed even more than we thought. 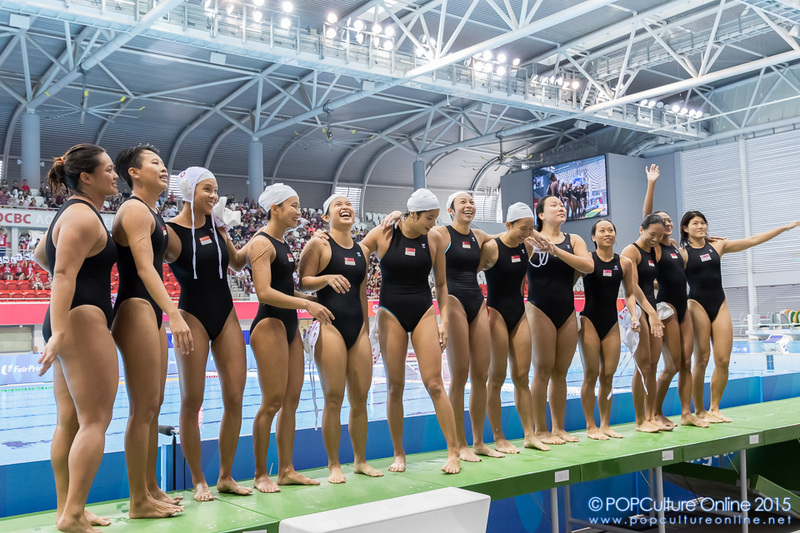 Being in the OCBC Aquatic Centre in the first quarter of the women’s water polo match between Singapore and the Philippines was much more than the straight forward game for Singapore. It’s been about the support. 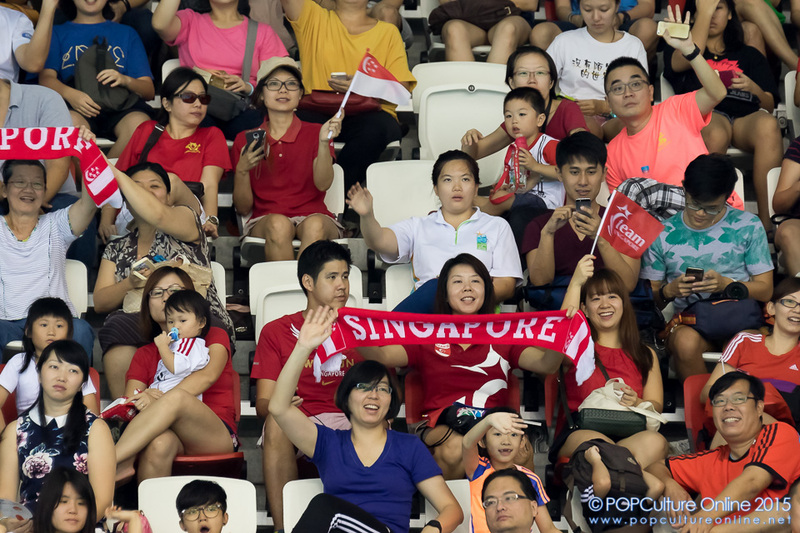 You get one guy in the west stand shouting “let’s go Singapore, let’s go” and the whole OCBC Aquatic Centre follows. 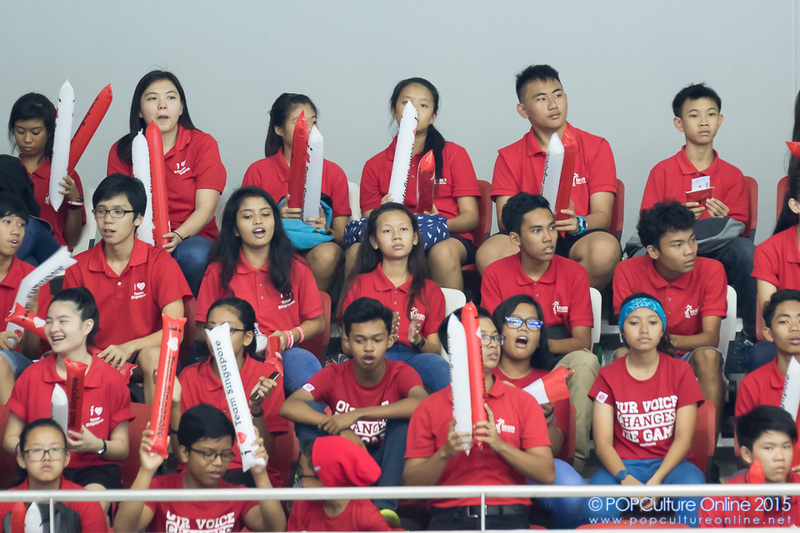 “Singapura clap clap clap” was another familiar tune at every time the team roared forward in play. You don’t see many people on their phones, and if you do it was because they were instsgramming photos of the game (Yes, I peeked). “Defend Defend” now this is a tune I’ve heard at all the games. A personal favorite of mine because it’s probably one of the more passionate ones, especially when you see all the relieved faces after the opposition fails to score. 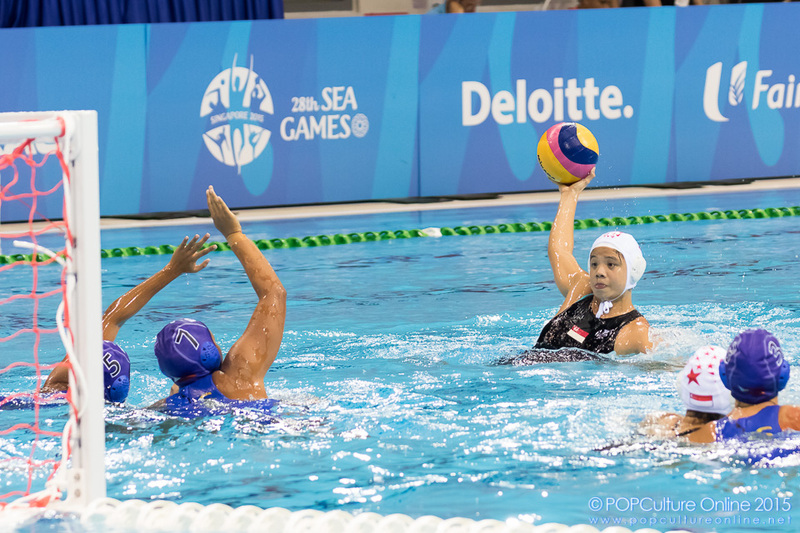 Start of 3rd quarter and the score is 12 – 1 in favor of Singapore. You’d think this pretty good and we could relax a little right? Well not this crowd. “S-I-N-G-A-P-O-R-E! Clap Clap” starts roaring out louder. It wasn’t so much because the crowd wanted more but it felt like they were playing with the team. Actually come to think of it, it was kinda like the girls building up the play slowly along with the cheers and then they score as the crowd burst into excitement. A bit like a dance. “Singapore clap clap clap all the way” was another tune as the final quarter drew to a close. Mind you we were leading 16 – 2, but no complacency seems to be the philosophy of the coach as the girls continued to push for more. As the end of it all, the girls gave back as they acknowledged their fans. With every wave from the girls, the crowd was louder in appreciation. This SEA Games isn’t just the athletes taking part, it’s the whole country. 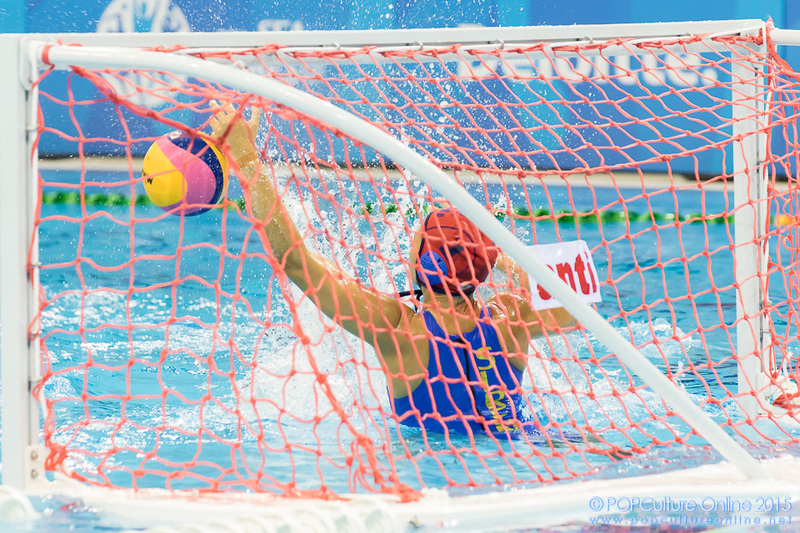 Final score Singapore 20 Philippines 2.